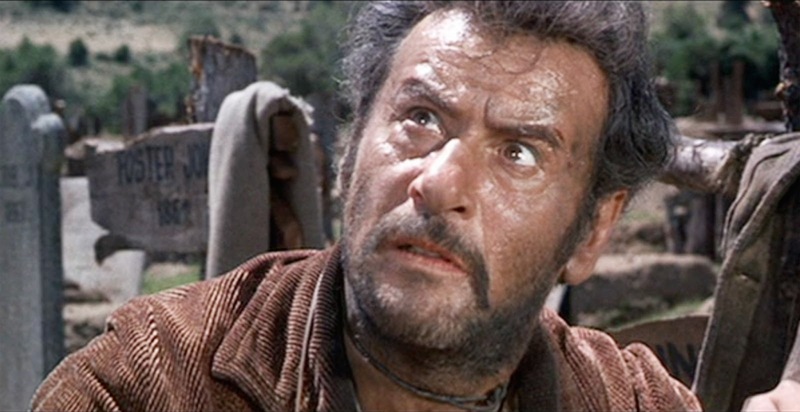 While I’m not even trying to mention the passing of every movie star, I’ve got to acknowledge the death of Eli Wallach (1915-2014) on June 24, taking out another third of the trinity from The Good, the Bad, and the Ugly. 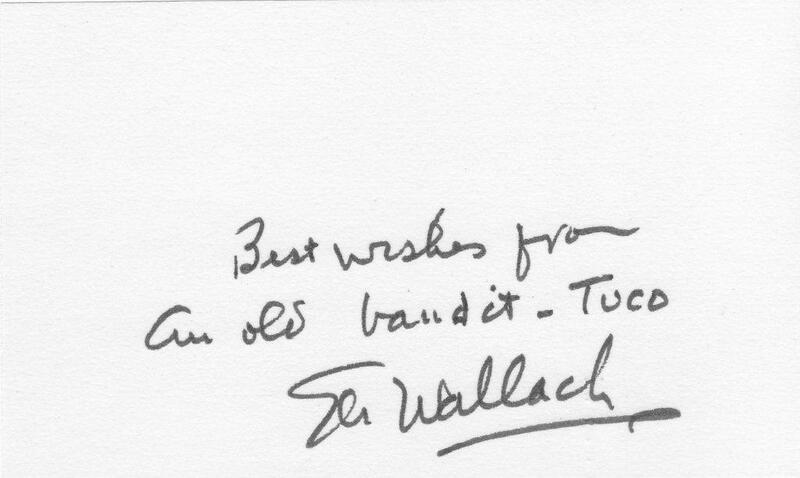 My occasional Guest Blogger Brian Leno and I talk about Wallach from time to time. If you know Brian’s article “Down the Rabbit Hole” from The Cimmerian V4n4, August 2007 you may remember the scene he describes where he had talked his parents into taking a detour on a family vacation and driving into Cross Plains, Texas, so Brian could see the Robert E. Howard house. (No museum open to the public then — Brian was only about eleven or twelve years old, making it around 46 years ago.) They started out from Bismarck, North Dakota, so I think his mom and dad get some kind of Parents of the Century Award. They find the house and afterwards drive around a bit, coming across the graveyard about three blocks away. Not knowing that Howard was interred in a cemetery in Brownwood, some 40 miles distant, Brian told me he ran desperately among the tombstones like Tuco, looking for a grave that wasn’t there. So, that Howard Days in 2007 as we walked from downtown back to the Howard House, I guided our direction so that we came up to that graveyard unannounced — and Brian had the sudden shock of recognition: this was it, this was the place where he had staggered and plunged among the tombstones like Wallach’s Tuco! You’ll find that moment in his article, which won First Place Essay of the Year in The Cimmerian Awards voting — comprehensive coverage of Howard Days, made richer with his memories of that first trip with his family. Good essay. 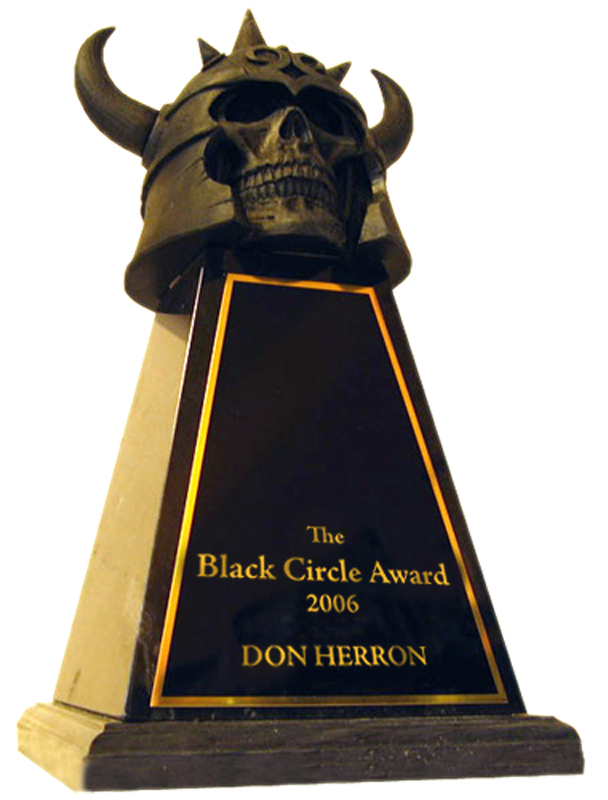 (I thought the Cimmerian Awards were savvy enough to carve out some credibility beyond just Howard fan circles, but when the awards moved over to the Robert E. Howard Foundation they instantly lost steam — the Best Essay awards often being especially weak, and in the most recent polling [if polling actually applies] only one Best Essay presented to a generic boilerplate article written by one of the people on the awards committee, which wouldn’t have made the cut a few years ago — oh well, the difference between awards that mean something in the larger world and getting a Gold Star on a grade school paper). When Wallach died Brian remembered that he had gotten his autograph. 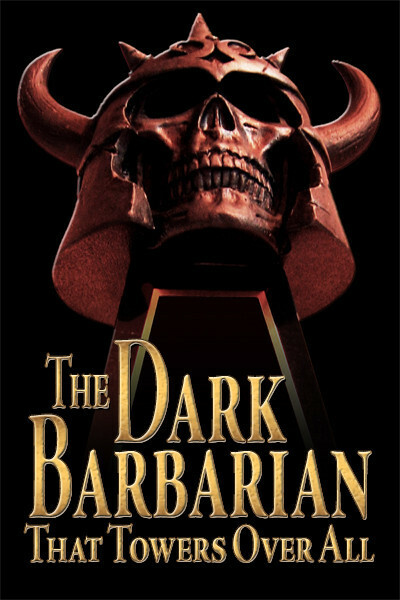 Brian is a fan of Robert E. Howard — and Lizzie Borden. And the Old West. An expert on old time boxing. A Ripperologist of sorts. But above all else he is an Autograph Hound. This entry was posted in Film, REH and tagged Brian Leno, Cimmerian Awards, Columbo, Eli Wallach, Howard Days, Janet Leigh, Peter Falk, Spaghetti Western, The Cimmerian, The Good the Bad and the Ugly, The Magnificent Seven, The Robert E. Howard Foundation, Tuco the bandit. Bookmark the permalink.